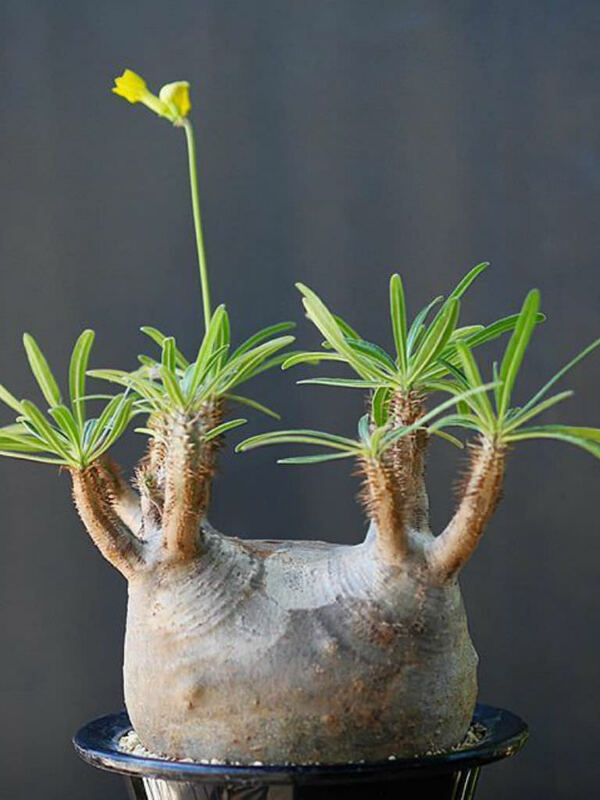 Pachypodium rosulatum subsp. 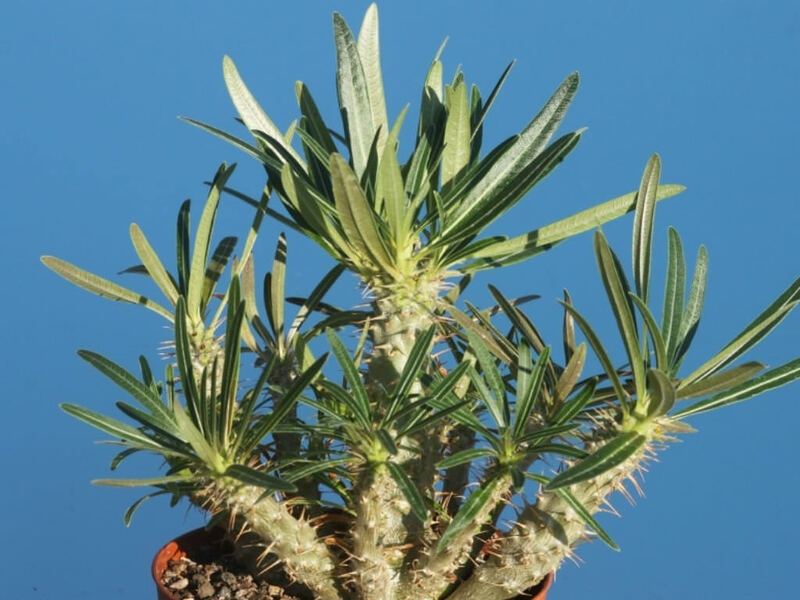 gracilius is a beautiful, caudiciform plant up to 3 feet (90 cm) tall. 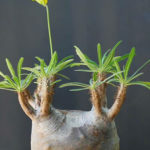 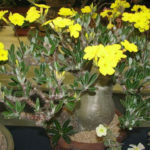 It is smaller than Pachypodium rosulatum and has fewer and thinner leaves, slimmer branches and a shorter corolla tube. 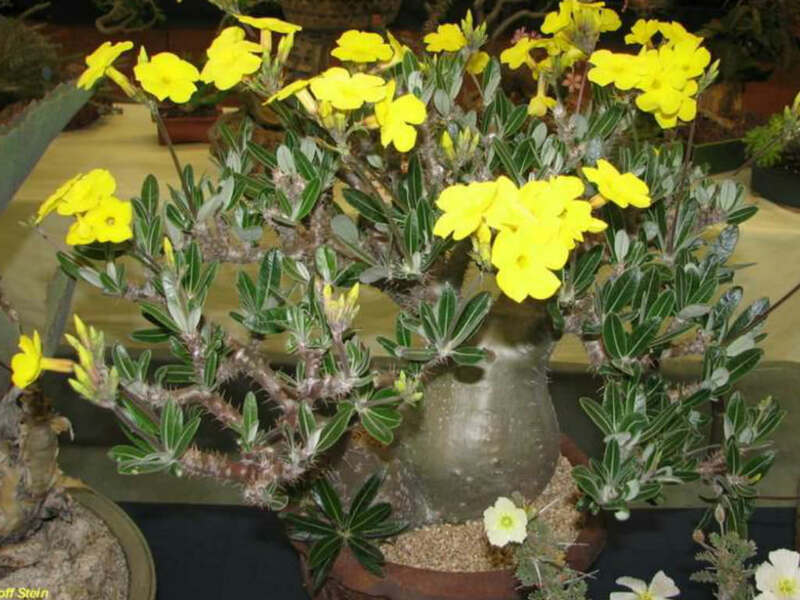 The branches are reddish-brown, up to 0.4 inch (2 cm) in diameter and up to 2 feet (60 cm) long. 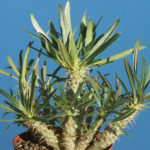 The spines are paired and about 0.2 inch (0.5 cm) long. The leaves are dark green, up to 4.4 inches (11 cm) long and up to 1 inch (2.5 cm) wide. 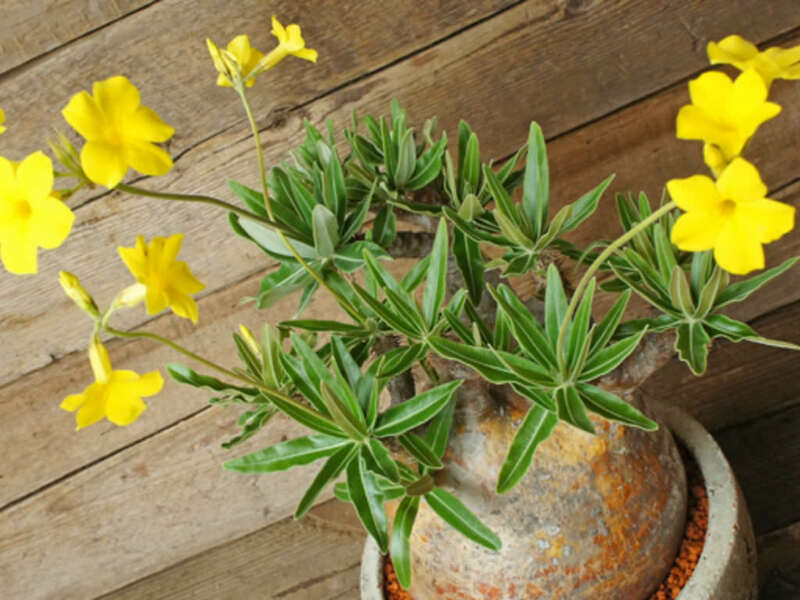 The flowers are bright yellow on top of a peduncle up to 16 inches (40 cm) long.